Dental statistics made easy / Nigel Smeeton. Forensic podiatry : principles and methods / John A. DiMaggio and Wesley Vernon. 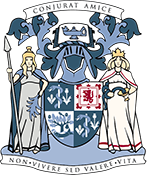 Glasgow : Association for Scottish Literary Studies, 2014.